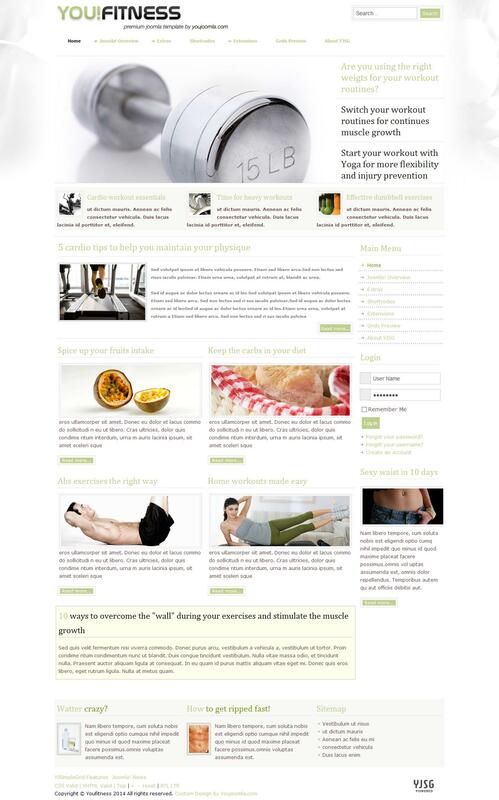 YJ YouFitness - amazingly fast and easy template from the popular development studio YouJoomla. Subject template aims to create sites for fitness and sports, healthy lifestyle and healthy food. This template supports the expansion studio Yj News Slider 10 and YJ Newsflash 3.0. SEO template uses functions in all modern browsers, has 52 module positions, 6 combo styles CSS, 4 background style, smooth dropdown menu, split menu, the compression on the server side, additional printing styles, adjustable width.